UFC 200 is a historic pay-per-view (PPV) event set for T-Mobile Arena in Las Vegas, Nevada, on Sat., July 9, 2016. Reigning UFC featherweight champion Conor McGregor was originally scheduled to headline the event; however, a dispute over promotional responsibilities forced him off the card (more on that here). In response, company officials recently announced that Daniel Cormier and Jon Jones will now attempt to fill the gaping “Notorious” void in “Sin City” this summer. Let’s see how the rest of the UFC 200 card is shaping up in the embedded video above. That’s just the tip of the proverbial iceberg, as UFC President Dana White told the mixed martial arts (MMA) media that he wasn’t done adding big names to the UFC 200 line up. While a return from Georges St-Pierre seems unlikely, Nate Diaz is still loosely attached to the card (for now) and Holly Holm is sitting at home with nothing to do. 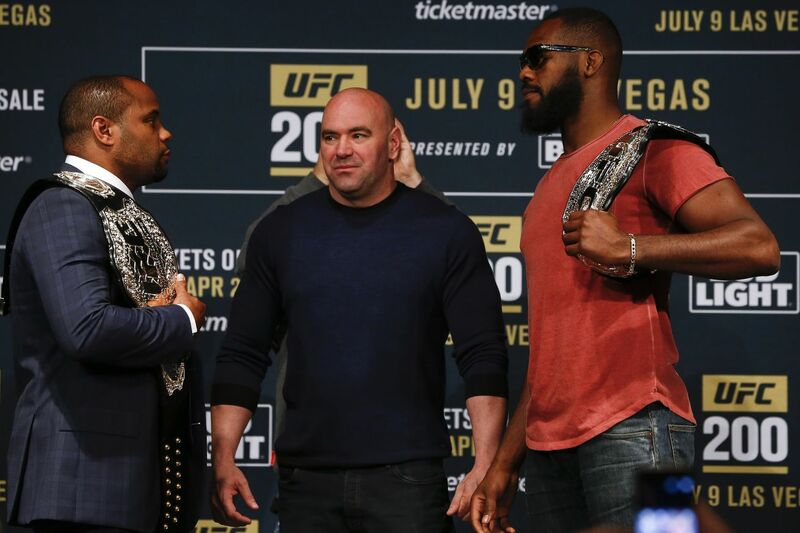 For much more on UFC 200 click here.